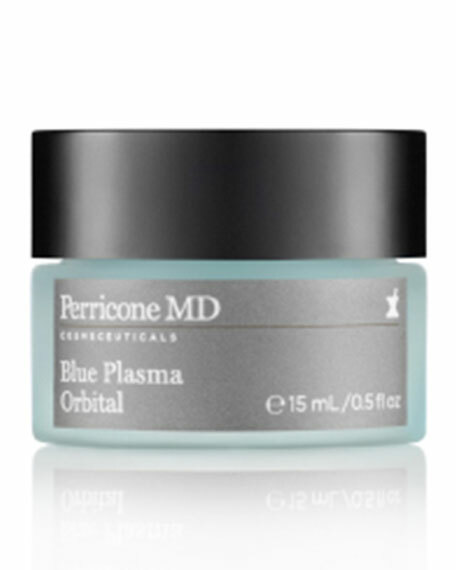 The Perricone MD Blue Plasma Orbital, a non acidic daily peel for the delicate eye area that smoothes, soothes and depuffs while also delivering hydrating, anti-aging and brightening benefits. Ideal for ALL skin types, Blue Plasma Orbital effectively resurfaces skin with no irritation, imparting an unparalleled radiance and clarity to the eye area for younger looking eyes. Has a fresh, cooling gel texture that is designed for 360° application. Bio-specific Peeling attacks only dead surface skin. Hydro-Fusion rebalances skin's hydration with enriched water. For in-store inquiries, use sku #231169.